After abandoning the approach taken in The Elements of Law, Hobbes used De Cive to establish his new civil science on a materialist basis, thus challenging the dualist foundations of Descartes’s mechanical philosophy. This shift is analysed here with close reference to the discontinuity in Hobbes’s use of the concepts of ‘laws of nature’ and ‘right reason’. The article argues that, the descriptive nature of mechanics notwithstanding, De Cive’s foundational aim left civil science with the normative task of producing its own material conditions of possibility until, in Leviathan, Hobbes went as far as reconsidering Plato’s philosophical commitment to political pedagogy. 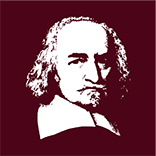 Andrea Bardin: ‘The Monstrosity of Matter in Motion: Galileo, Descartes, and Hobbes’s Political Epistemology’, Philosophy Today, 60,1 (2016). Abstract: Along the path opened by Galileo’s mechanics, early modern mechanical philosophy provided the metaphysical framework in which ‘matter in motion’ underwent a process of reduction to mathematical description and to physical explanation. The struggle against the monstrous contingency of matter in motion generated epistemological monsters in the domains of both the natural and civil science. In natural philosophy Descartes’s institution of Reason as a disembodied subject dominated the whole process. In political theory it was Hobbes who opposed the artificial unity of the body politic to the monstrous multiplicity of the multitude. Through a parallel analysis of the basic structure of Descartes’s and Hobbes’s enterprises, this article explains in which sense Hobbes’s peculiar form of materialism is in fact to be considered a surreptitious reduction of materialism to its ideological counterpart, Cartesian dualism, and to its implicit political-pedagogical project.